At Unionville Presbyterian Church the sacraments of Baptism and Holy Communion are celebrated within the regular services of worship. A sacrament is an action given to us by Jesus as a way of experiencing the love and grace of God. Baptism and Holy Communion are ways of declaring that we are part of the family of God. 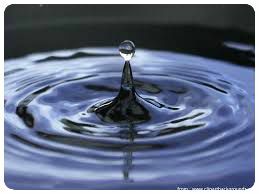 Ordinary physical elements of water, (in baptism), and bread and wine, (in Communion), take on spiritual significance in our lives as they did for Jesus in his life. Water is God’s gift of cleansing and new life; sharing bread and wine together unites us to Christ and one another and strengthens us to continue his purpose and ministry. the presence of the Spirit of God. Baptism is received only once. Its effect is not tied to the moment when it is administered, because our awareness of God’s love, experienced through Christ, continues and deepens throughout life. We believe that persons of other denominations are part of one body of Christian believers; we therefore recognize and accept baptisms by other Christian churches. Both believers and their children are participants in the covenant of God’s love. Whether administered to those who profess their faith, or to those presented for Baptism as children, it is one and the same sacrament. The baptism of children witnesses to the truth that God’s love claims people before they are able to respond in faith. Because baptism is celebrated within the worship life of the congregation, it is important that parents of children being baptized are participants in the ongoing life and work of the faith community. As part of the baptism service parents and congregation publicly declare their faith. The service of baptism includes a commitment on the part of the church to nurture the child in faith and to support the spiritual development of the family. This can only happen when there is consistent opportunities for worship, nurture and fellowship together. Persons baptized as adults are making a public profession of faith, which is celebrated and affirmed by the congregation in the same kind of continuing relationship and growth in faith and discipleship. God’s you are; from God you came. live as one who bear’s Christ’s name. Please contact the church office for further conversation. 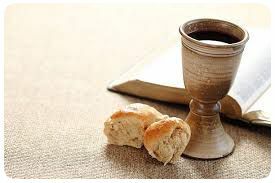 Communion / The Lord’s Supper has been part of Christian worship since the night Jesus shared a meal with his friends and followers and instructed them to continue to “do this in remembrance” of him. Before there were books of worship or formal creeds, and even before the New Testament was written, the first Christians met together to read the Scriptures and letters of the apostles and to celebrate the Lord’s Supper. Even today, whenever we celebrate the sacrament we repeat Jesus’ actions as we take, bless, break and share the bread and wine. This sacrament is known by many names. Sometimes the celebration is known as “Holy Communion,” because we meet, or “commune” with Christ, present with us as we respond to his invitation to come together to share this special action. The oldest name for this sacrament is “Eucharist,” which simply means “thanksgiving.” This name emphasizes our deep gratitude for all God provides. Whatever name we use, this is a meal of hope and of joy shared with Christ. The bread and wine are signs of the presence, generosity and goodness of God, spread before us.catch a glimpse of what life in community with God and each other is meant to be. They nourish us to go from the table to make a positive difference in the world. Bite by bite, bit by bit, we become more like Christ. Sip by sip, we reflect Christ’s love. Please see the calendar of events for upcoming dates.